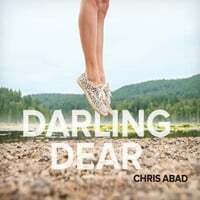 Chris Abad-Darling Dear. 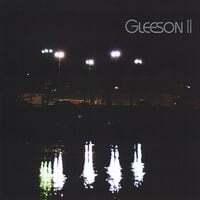 Chris Abad is back with the followup to 2010's No Glory, and it's another fine collection of melodic pop that recalls Squeeze and Matthew Sweet as well as the likes of Cliff Hillis and Michael Carpenter. "Lucky One" kicks off the proceedings with its bright pop and singalong chorus while "Routine" is a midtempo rocker with crunchy guitars that recall Gin Blossoms, with the real standout being the title track - a bouncy number that wouldn't have been out of place on a Jellyfish disc. Other highlights include the country-tinged ballad "Shelter" and the jangly "Wide Awake". Abad has a way with a melody, and these 10 tracks display a real consistency. 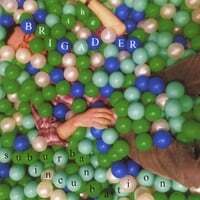 The Brigadier-Suburban Incubation. It seems like I've been writing about The Brigadier (a/k/a Matt Williams) since I started this blog seven years ago, and he's back with his sixth album after a little longer interval (his last full-length came out in 2010). Suburban Incubation finds Williams having started a family, and the overall theme here is settling into that kind of life. He still offers the Beach Boys-meets-XTC sunny British pop of previous releases, as "It Needed to Be Sunny" is a bright opener, while "Don't Want to Think Anymore" is an introspective number that has a memorable hook and an Andy Partridge feel to it. Elsewhere, "Do You Want Me Too?" is a breezy slice of power pop right in Williams' wheelhouse, and the quirky piano fills and guitar of "Music Makes the Pain Go Away" make it one of the album's standouts while "The Middle Ages" is a jaunty, Brian Wilson-style tune. It's good to have The Brigadier back. 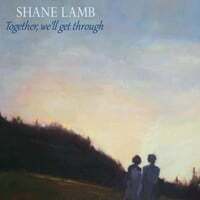 Shane Lamb-Together We'll Get Through. Shane Lamb remains one of my favorite "popicana" artists, and his third album is another easy-to-listen-to collection. Opener "Wasting Our Time" is a rootsy number that would appeal to fans of Jeff Larson or The Jayhawks, "Pull Me In" has Ryan Adams feel to it, and "Crazy Horse's Heart" is the kind of well-crafted folk-pop gem that Lamb has made his signature. Overall, this disc is a bit more laid-back than his previous two releases, having shed the Tom Petty influence (although "Fallen Through" does sound somewhat like Petty's slower numbers), but is still a must if you enjoyed the first two. Why do we listen to power pop? At one level, it's the love of a catchy melody, ringing guitars and a steady beat. At another - for many of us - it's the music of our youth. But at the most elemental level, we listen because it's fun. Power pop appeals directly to the pleasure centers of our brains. 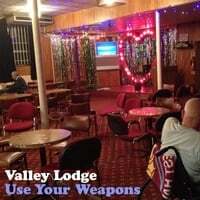 And no band encapsulates this appeal better than Valley Lodge, who brings us Use Your Weapons, their third album. Led by funnyman extraordinaire Dave Hill, it's tempting for some to write off Valley Lodge as a joke band, as merely an example of Hill's performance art. And I couldn't exactly argue that analysis if you chose to make it as Hill & Co. rattle off every rawk cliche in the book in both their performance and presentation. But whether tongue-in-cheek or not, there's no denying that their music is preternaturally catchy, rocking, and most of all - fun. Their brilliant self-titled 2005 debut was the perfect example of this, and still to this day remains perhaps my favorite power pop album. 2009's Semester at Sea was good fun as well, but the emphasis on glam rock made the "put-on" aspect of their act a bit more distracting (still, Semester did yield awesome rocking tracks like "The Door", "Baby, It's a Shame" and "When the Rain Comes", which found success in excess). Use Your Weapons, it could then be said, is a return to form. It's more of a piece with the debut, which means it's time to turn your brain off and just embrace the non-stop fun. Opener "Go" is relentless, rambunctious and infectious, and has a rare quality in power pop - you could pretty much dance to it. (Here's a link to the video I posted a couple of weeks ago, which you need to see if you haven't already). "Sweet Elizabeth" lets you catch your breath, but isn't exactly a ballad with its glam rock and speedy Bo Diddley-style beat. The midtempo "Kiss Me I'm Drunk" finds Hill in vintage bad-boy mode and features a great bridge, while "Pretty Thing" rocks with abandon in a fashion similar to "The Door". And "Make Up Your Mind" closes out the first half of the album with a near-perfect slice of almost Big Star-like pop. The second half of the album is no letdown either. "Waiting in the Rain" sounds like a lost garage rock tune from the 60s, and "Gimme Gimme" brings back Hill's penchant for incorporating 70s pop R&B into the mix much as "All of My Loving" and "Hanging On" did on the debut. Its Jackson 5-like chorus will have you grinning from ear to ear. "Are You Okay?" keeps the rawk going and features some of Mr. Hill's best shredding, "Restless Heart" is light glam rock a la Sweet and throws in horns in support of yet another supremely catchy melody, and closer "Blind" - with its 80s synths and frenetic melody - leaves you wanting more. They may be called Valley Lodge, but if you believe in truth in advertising Nate Ruess needs to cede the name "fun" to Dave Hill because this is the band that really lives up to that moniker.